In the afterglow of a clean triumph--her widely celebrated, Pulitzer Prize-winning best-seller, Beloved--Toni Morrison moves to even higher ground. This, her eagerly awaited new novel, Jazz, is spellbinding for the haunting passion of its profound love story, and for the bittersweet lyricism and refined sensuality of its powerful and elegant style. It is winter, barely three days into 1926, seven years after Armistice; we are in the scintillating City, around Lenox Avenue, "when all the wars are over and there will never be another one...At last, at last, everything's ahead...Here comes the new. Look out. There goes the sad stuff. The bad stuff. The things-nobody-could-help stuff." But amid the euphoric decisiveness, a tragedy ensues among people who had train-danced into the City, from points south and west, in search of promise. Joe Trace--in his fifties, door-to-door salesman of Cleopatra beauty products, erstwhile devoted husband--shoots to death his lover of three months, impetuous, eighteen-year-old Dorcas ("Everything was like a picture show to her"). At the funeral, his determined, hard-working wife, Violet, herself a hairdresser--who is given to stumbling into dark mental cracks, and who talks mostly to birds--tries with a knife to disfigure the corpse. In a dazzling act of jazz-like improvisation, moving seamlessly in and out of past, present, and future, a mysterious voice--whose identity is a matter of each reader's imagination--weaves this brilliant fiction, at the same time showing how its "blues" are informed by the brutal exigencies of slavery. Richly combining history, legend, reminiscence, this voice captures as never before the ineffable mood, the complex humanity, of black urban life at a moment in our century we assumed we understood. 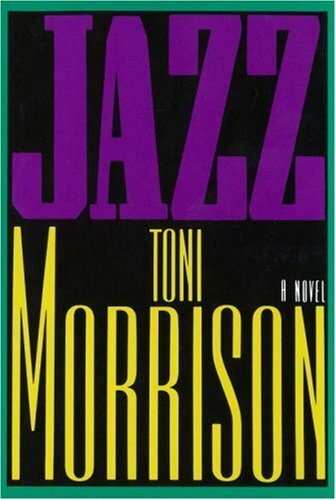 Jazz is an unprecedented and astonishing invention, a landmark on the American literary landscape--a novel unforgettable and for all time.